The Boston University men’s lacrosse team will open conference play on Saturday when it hosts No. 16 Navy at Nickerson Field. The Terriers (3-1, 0-0) are coming off of their first loss of the season last week, a 16-10 defeat against Hartford. Meanwhile, the Midshipmen (2-1, 0-0) defeated Delaware last week, 5-1, in a score that most sports fans would be more accustomed to seeing in a soccer boxscore. Navy, led by Tewaaraton candidate and junior defenseman Chris Fennell, is one of the best defensive teams in the nation. Goaltender John Connors is also coming off of a Goaltender of the Week award in the Patriot League following his near-shutout performance. BU is a team that is able to find the back of the net. leading all teams that have played at least four games with ten goals per game, and out of teams with at least three games, 11th in the nation. Last weekend’s score may have been misleading; however, as BU scored the last three goals of the contest and still lost 16-10. The team is without its two leading scorers from 2015. 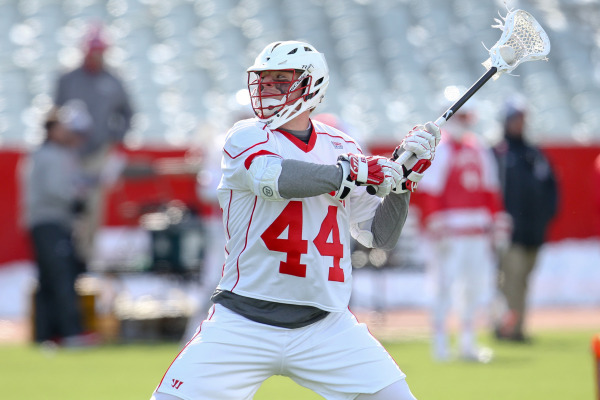 Midfielder Cal Dearth and attackman Ryan Hillburn will both be out this week against Navy. James Burr, the freshman attack who leads the team in scoring, was slowed down against Hartford with just one goal and struggled to get involved in the offense. On defense, BU struggled against Hartford’s quick transition game. The Hawks had no trouble running down field and putting it in the net, scoring on every shot taken on net except for one in the first half. Navy’s offense, though it scored just five goals last week, will be another challenge, especially since senior attackman TJ Hanzsche broke out with two goals. This will be one of the toughest challenges for the Terriers all season, and to date the most difficult contest on the schedule. Navy is a ranked team that has matched up well against tough teams like Johns Hopkins, and BU will need to put out their best game thus far to defeat the Midshipmen. “We just have to play our best game and be strong in all facets of the game. At the X, in goal, be efficient on our clearing and riding, be smart on defense, value the ball on offense,” said Polley.